A student asked me the difference between these two publications, which gave me pause. 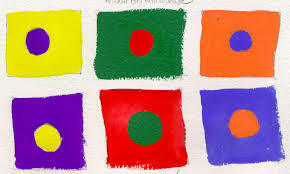 He also pressed me on the issue of repetition practice of the sort one encounters with devotees of the scale. As always, I had answers. Only once that I can remember did I find myself speechless when questioned. (This could be a fault.) That was at an after-concert reception when I was approached by the chairwoman of the association, who, mind you, had just heard me play for two hours. There I am in my white tie and tails and she asks me, "Now Mr. Stannard, what is it that you do?" Was I so bad she could't believe I did that for a living? Or could she not conceive of performing for a living? Sigh. The two volumes in question are complementary. 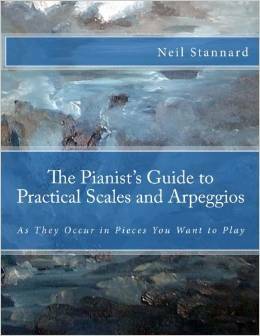 The scale/arpeggio volume is a source for those interested in practicing purposeful scales and arpeggios, not just routines that rarely, if ever, occur in the repertoire. 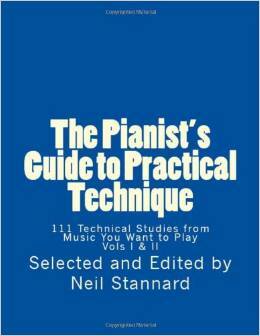 The technique volume is similar in that it also consists of excerpts from repertoire, which in this case are meant to take the place of such uninspiring studies as those composed by Czerny and others. Yes, we have to learn scales. We need to know finger patterns in all the usual keys—where the thumb crosses. This coincides with basic keyboard harmony, and what I call the topography of the keyboard. That said, it is not particularly beneficial to routinely drill scales, hour after hour, once the patterns are secure. Time is better spent working out passages and/or scales and arpeggios that we will have to play in our repertoire.